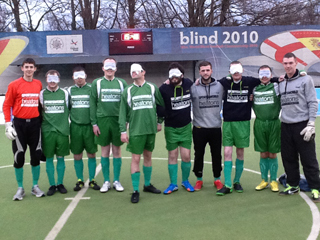 The Republic of Ireland national blind football team finished in second-place at the IBSA Blind Football Euro Challenge Cup in Poland, last weekend. The Ireland Blind team completed their involvement in the IBSA Blind Football European Championship qualifiers with a valiant display against Albania. The Ireland Blind team celebrated their first ever international win with a 1-0 triumph over Albania at the IBSA Blind Football European Qualifiers in Romania.